COMMUNE – REAL INGREDIENTS. REAL FOOD. Located in the ViBe Creative District, just a few blocks from the Virginia Beach Oceanfront. Serving Breakfast and Lunch 7 days a week. Open Mon-Fri 8am-3pm and Sat-Sun 8am-4pm. Located in the NEON Art’s District, in Downtown Norfolk. 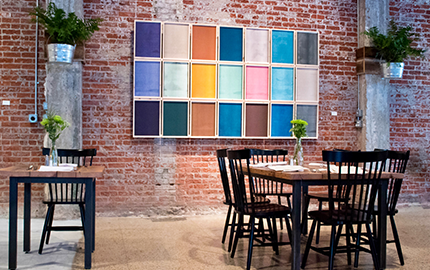 Open seven days a week serving breakfast and lunch, and featuring live music and rotating art exhibits. Open Mon-Fri 8am-3pm and Sat-Sun 8am-4pm. In French, the word Commune translates to the smallest territorial division. In English, it means people coming together. This is what we are all about. Sourcing the vast majority of our ingredients solely from our territory, and bringing people together through that food. 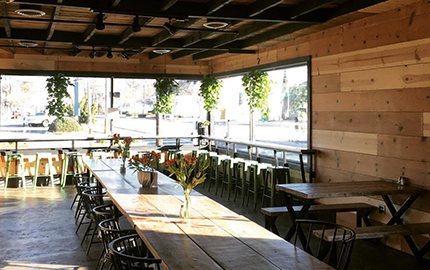 Our bustling cafe in Virginia Beach’s Creative District serves local, seasonal and sustainable fare in an open setting with community style seating. Commune is founded on the philosophy that the best tasting food just also happens to be the freshest and healthiest food both for the eater and our environment. To that measure, we have made our daily menu flexible and based on what local producers can provide throughout the seasons. We know how to do this efficiently through our founder’s experience as a local sustainable farmer who worked directly with chefs and restaurant owners for years before deciding to open Commune. Sourcing ingredients locally from farmers we know ultimately leads to a better tasting meal and at the same time mitigates the environmental damage done by the commercial food system. Our finished product speaks for itself; when food is grown with respect, picked at its peak, served close to its source, and prepared with care, the finished plate is a culinary experience that nourishes and satisfies on many levels. At Commune we exclusively use local and seasonal ingredients. Everything from our produce, to our dairy, meats, and wheat is sourced as local as possible. Some of the produce is grow right in our garden, and other ingredients have been preserved from previous season’s harvest. 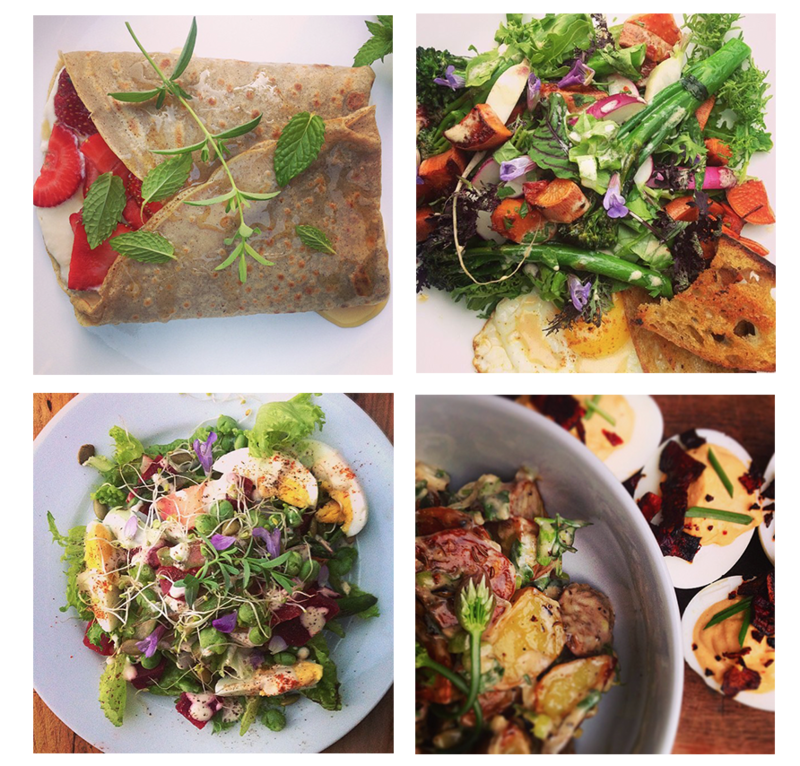 Our menu is constantly changing depending on what’s fresh and locally available. Owner Kevin and Chef Barry serve seasonal dishes that highlight food specific to our region, homemade naturally leavened breads and a selection of baked goods all in a cafe setting serving up conscientious coffee, herbal teas and hand-crafted sodas. Looking for the perfect venue for your special event? 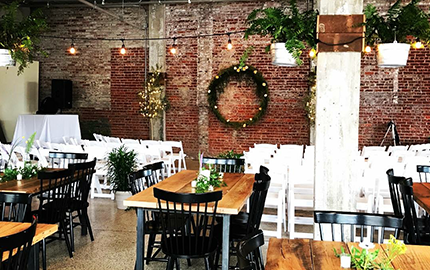 Whether you’re planning a corporate luncheon, holiday party, chic bridal shower, surprise birthday party, a sophisticated rehearsal dinner, or a memorable wedding reception, Commune offers two unique venues in Virginia Beach and Norfolk. We can accommodate an intimate gathering of 10 or a larger group of 300 people. Whatever the occasion, our professional and friendly team can help you create a package that suits your specific needs.